Woodlawn neighborhood is one of those established Fredericksburg neighborhoods that brings a smile to a Fredericksburg native. With 85% of the homes belonging to married couples, and 39% with children, this is a great neighborhood for a family with children. 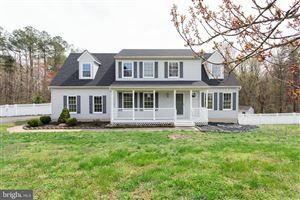 It has a great location off of Deacon Rd, with a quick hop and a skip from downtown Fredericksburg and Route 1. With historic downtown Fredericksburg only 4 lights away, Woodlawn residents enjoy the benefits of being close to all the fine dining and activities our historic town has to offer, and yet Woodlawn stands secluded across the Rappahannock River, in a neighborhood where families can ride their bikes down the streets or go for summer evening walks. This neighborhood is less than 2 miles from the Massad YMCA which offers 2 indoor swimming pools, outdoor water park, 4 indoor tennis courts, playgrounds and popular jogging trails through lower Stafford. This area of south Stafford is bubbling with activities through Stafford County Parks and Recreation, as well as multiple independent dance, music and martial arts companies for children and adults, like the YMCA, Hampton’s Karate, Paragon Training Center, and the Yamaha Music School. People often unwind downtown with the wonderful array of boutiques and restaurants historic downtown Fredericksburg offers our community. The heart of downtown Fredericksburg has wonderful shops and restaurants on the main streets of Caroline Street and William Street, like Lydia’s Monogram Gifts, La Petite Auberge Fine Dining, Hyperion Coffee, Ulman’s Jewelry, Jabberwocky Children’s Books and Toys, J. Brian’s Tap Room, the Mock Turtle Children’s Store, Capital Ale House, the Kenmore Inn, the Bavarian Chef, among many other places to shop or wine and dine! Woodlawn is in the southern part of Stafford County, adjacent to the City of Fredericksburg. Living here, your children can attend one of the best elementary schools in South Stafford, Conway Elementary School, followed by Dixon-Smith Middle School and Stafford Sr. High School. For those who work out of town, commuting from Woodlawn to any direction is quick with only a couple roads needing to take you north, south, east or west. 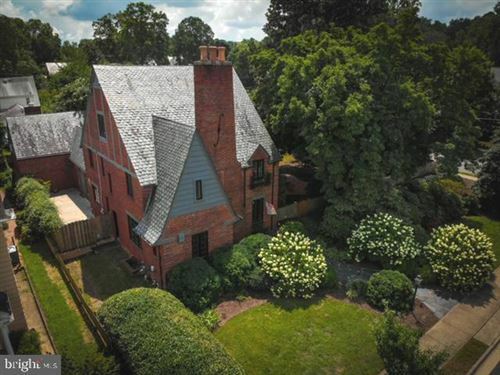 Dahlgren and King George, for example, are only a 25 mile commute and 19 mile commute from the Woodlawn neighborhood, and Northern Virginia and Richmond are also easily accessible from this neighborhood’s easy access to Route 1 and Interstate 95. Woodlawn not only has great access to everything Fredericksburg and southern Stafford have to offer, but it offers great commuting flexibility as well as a quiet, family-friendly neighborhood.